IMAGE+ captures the unrelenting imagination and inspired craft behind the comics redefining the industry now. 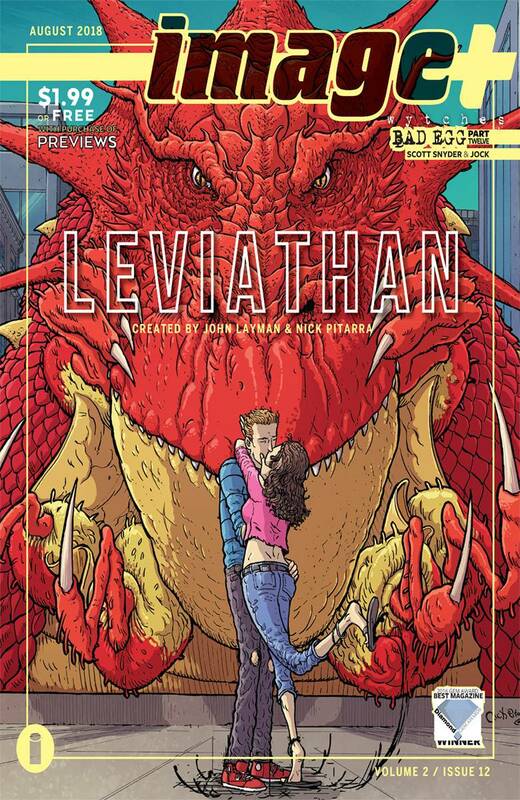 Packed with exclusive previews, features, and art walkthroughs, this issue features NICK PITARRA and his frenzied art for his Kaiju-themed blockbuster with writer JOHN LAYMAN, LEVIATHAN. We also explore the deep chronology behind Image's longest-running books, with writers charting their process for evolving characters and worlds over decades. SCOTT SNYDER and JOCK's WYTCHES: BAD EGG reaches its unnerving penultimate chapter, as two boys discover the monsters lurking in the woods-and in their families-who have sold their souls to eldritch horrors. IMAGE+ is free with any purchase of Diamond's Previews..